I love how social media helps us share resources and allows those with a common interest to learn from each other. If I was intentionally shopping for inexpensive Regency-looking shoes, I wouldn't be able to find them. A few months ago I saw this pair of shoes in my Pinterest feed, thanks to Quinn, which has led to some serious Regency shoe shopping. ...so I ordered them in brown. 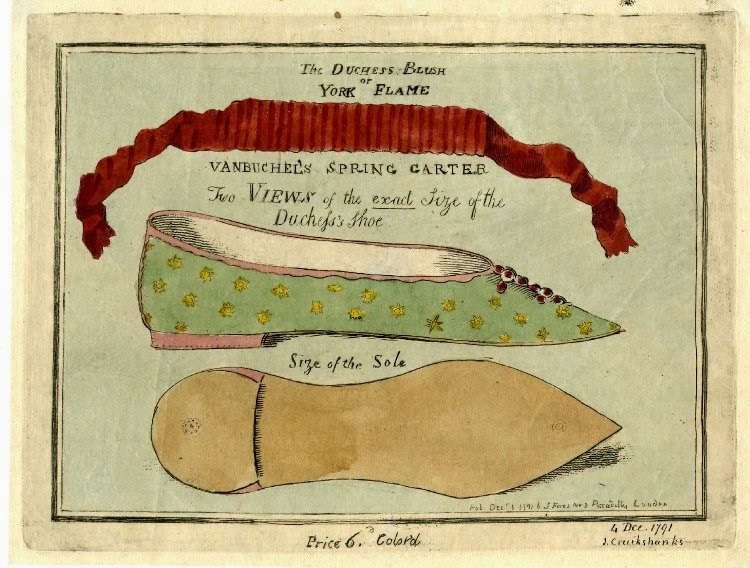 After doing a little research, the shape reminds me of this 1790s pair from the V&A. My new shoes are probably better suited for a late 18th or early 19th century event. Thanks to Amazon's "People who viewed this also viewed" feature, I was tempted by two other pairs. The Mia blue suede flat, which is ironically the same style shoe that the Bohemian Belle did a great blog post about last year. But it gets better! When antiquing in VT last month, I discovered old ballet slippers--that fit. They're quite different from the ballet shoes I've used over the last 30 years. The leather is stiffer and the shank is almost as solid as a pointe shoe's wood shank. They have eyelets for lacing across the foot much like Regency ballerina style shoes, which differs from the method of lacing pointe shoes around the ankle. 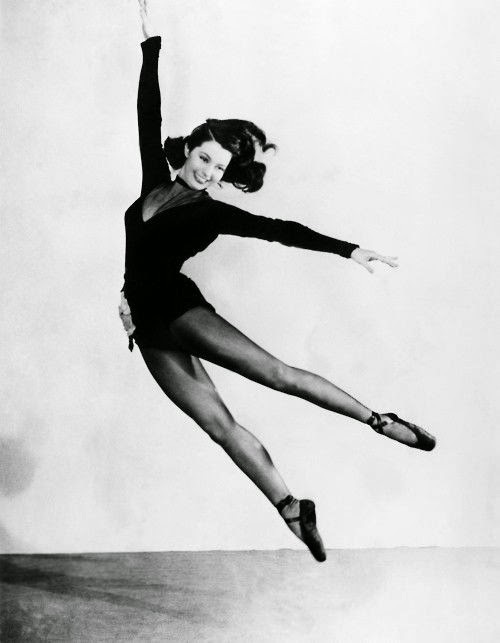 ...they have a Cyd Charisse quality to them. I hope this bit of shopping/research helps inspire others on the path of 19th century foot attire! Hahaha, it's (sort-of) great when the right things pop up on Pinterest. I think I got the idea to pin those shoes from Katherine of the Fashionable Past blog, lol. Nice to pass on the fun. Those and your other shoe finds are quite fun, especially the ballet slippers. Neat! Can't believe I hadn't responded to this sooner...thanks for pinning them. I'm super excited to wear those shoes some day! I am so glad I found your post ! I have been looking for laced regency shoes everywhere and finally I got them ! :) Thank you so much for sharing ! So glad to hear this was helpful for you!